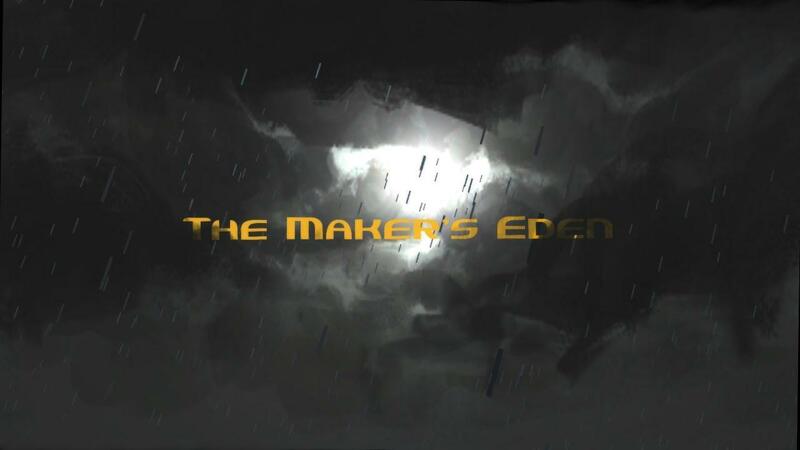 The Maker's Eden is a first-person slideshow style point and click adventure game in a retro-futuristic noir inspired setting, presented in the style of a motion comic. The focus is on story/narrative and you will learn about the world by talking to characters and examining your surroundings. They use Humble Store for their pre-orders so it's all nice and DRM free, it will set you back a ground stomping $4.50 (~£2.77 for us brits!) so it's not bank breaking. They expect the full release of the first act to be early next year. They are also looking for a little bit of love on Steam's greenlight so spare them a vote. The visuals are really quite good on this one, I love the futuristic setting and can't wait to get my hands on Act I when it comes out next year. The mixing in of little comic strips looks good, can't say I've seen that done before in an adventure game to help tell the story, very cool. Anyone tried the demo, what do you think to it? It reminds me of Hotel Dusk on the NDS for the comicstrip style. "The Maker´s End is a first-person slideshow style point and click adventure game in a retro-futuristic noir inspired setting...", wow, repeat it 5 times without breathing and you get an achievement! It´s a great mix, I saw some pictures of this game before and I thought it was a series of static images, but watching the video I could see they have depth and movement, it´s a different style, I think it looks good, I will try the demo to have a full opinion about it.